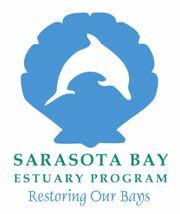 March 1 is the deadline for the Sarasota Bay Estuary Program (SBEP) Bay Partners Grants. The purpose of the annual program is to promote environmental education, community involvement and stewardship to improve the overall quality of Sarasota Bay and its tributaries. Organizations can receive up to $3,000 for projects that benefit Sarasota Bay. SBEP has awarded $150,000 in grants to more than 90 organizations since 2002. Schools, businesses, non-profit organizations, academic institutions, churches, and civic groups with the Sarasota Bay Watershed in Sarasota and Manatee counties are eligible. The watershed boundaries are from Anna Maria Sound south to the Venice Inlet as well as all of the barrier islands. Prior projects have included wildlife gardens and landscaping featuring Florida native plants, micro-irrigation projects, land contouring to create bioswales, signs that promote Bay-stewardship, and education programs among other projects. Bay Partners Grant applications must be received at the SBEP offices by 4pm on Thursday, March 1 to be eligible. Applications can be emailed as a Word document or PDF file to Sara Kane at sara@sarasotabay.org. Regular mail applications are also welcome, but please send four hard copies to SBEP at 111 South Orange Avenue, Suite 200W, Sarasota and the zip code is 34236. You can learn more about the grant program online by visiting the link below. Listed there are the 14 grant projects that were funded for 2011. Inquires are welcome... Contact information is below.